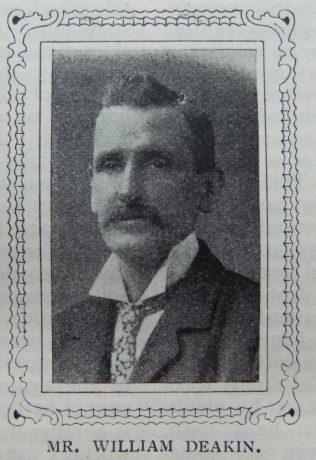 For several years Mr. William Deakin, Motherwell, has been the leader of a large married women’s Society Class. The position is one of uncommon responsibility, especially for a mere man, but our friend has filled it with marked efficiency and success. Mrs. Sarah Price, of saintly character and revered memory, was the leader of this class for many years, and it was no ordinary testimonial of character to be chosen to succeed her. William Deakin is a true and faithful under-shepherd, trusted and beloved by his members, watching over their spiritual welfare, and sympathising with them in their difficulties and trials. The class is conducted pretty much on the old lines, and is ever and anon visited with the seasons of wonderful power and spiritual refreshment. It meets on Sunday afternoon immediately after the Sunday school of which Mr. Deakin is superintendent. The two involve no small physical strain, especially for a man who lives twenty minutes’ walk from the chapel and is rarely if ever absent from the morning and evening services, or the Mission Band. Of high character, large sympathy, and evangelistic enthusiasm, Mr. Deakin is foremost in every good work, a tower of strength to the Church. In addition to his other qualities he possesses the saving grace of humour and his experiences and addresses often present a singularly fine blend of quaint humour and genuine spirituality. 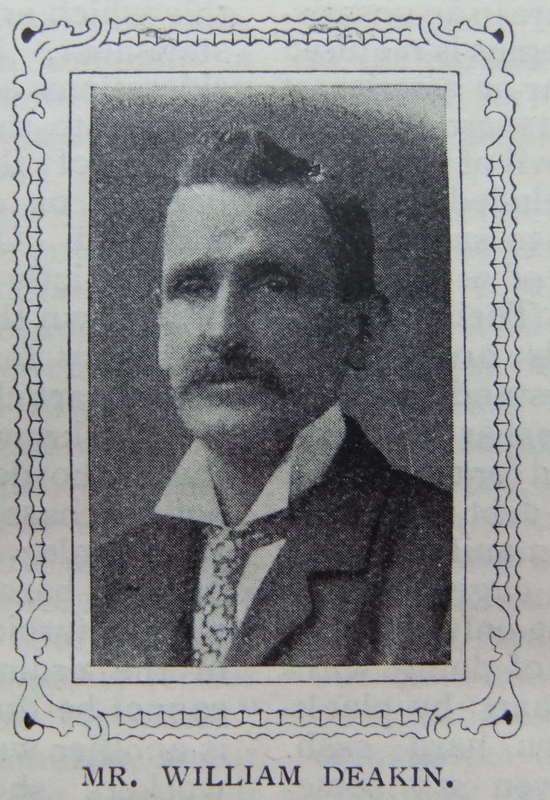 He has rendered excellent service as a local preacher, but during the last two or three years has found his other work too taxing to admit of his taking many appointments. He is modest and unassuming, and in official meetings can always be relied on to take a sane view of things. Long may he be spared to the Church he serves so faithfully and well. I have been unable to identify William in Census returns. Can anyone point me in the right direction?